We all know very well that the tech giant Google’s well-known and most used mobile operating system, of course, Android offers users a large number of customization options, some of which are useful for everyone, while others are only for advanced users. And one of these settings refers to the Access Point Name which is better known as the APN, a configuration or settings which is necessary to have an active mobile data connection in our smartphone. The tech giant Google’s well-known and most used mobile operating system, of course, Android offers users a large number of customization options, some of which are useful for everyone, while others are only for advanced users. And one of these settings refers to the Access Point Name which is better known as the APN, a configuration or settings which is necessary to have an active mobile data connection in our smartphone. Currently, it is not usually too complicated to obtain a data network when changing mobile. Simply insert the new SIM and, automatically, the operator and the smartphone both will start synchronizing simply to access the internet through mobile data. However, what happens when somehow this simple process does not happen or stop working? If it happens then simply we will have to configure the APN (Access Point Name) in Android manually that’s it. But, now many of you might be thinking that how to do so? Now that’s the thing that we are going to explain to you all step by step. So, now without wasting much time let’s get started and simply explore the whole tutorial that we have mentioned below. The APN is all the information that the phone uses to connect to the operator’s network. It simply lists the address that the phone uses to connect to the network, the ports used to send and receive Multimedia Messaging Service (MMS) messages, the type of data used in particular for the APN, and other essential information so that the phone works correctly. Thanks to its correct configuration, that simply allows us to make calls, send messages, surf the Web and much more. 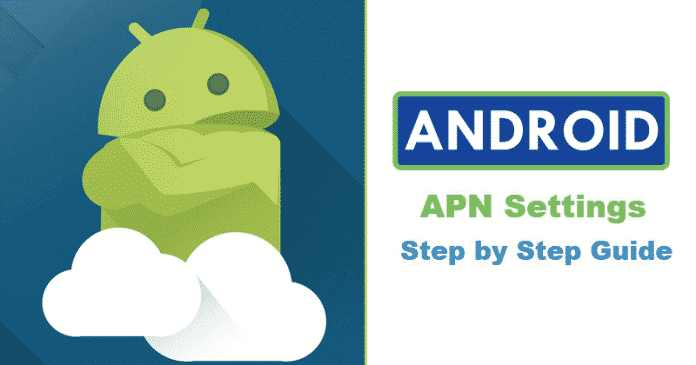 How to set up the APN in Android? Basically, the most simple way to configure the APN in Android is, simply turn off the phone, remove the old SIM card, enter the new one and restart the phone again. Now once the smartphone turns on, it will automatically have a connection with the contracted operator’s network. If this is not the case, then you must do it manually to configure the name of the access point. And to do this, you must contact your operator through their customer service number and request the data to be registered in the APN configuration screen. Really, it’s pretty easy to do, as simply you have to open the phone settings. Then access the Wireless and networks menu (depending on the customization layer with which you work, hence, this may vary slightly, but it is very natural). Once you get inside it, now simply access or tap the Mobile Networks option. Then among all the options, you should locate the option known as “Access Point Name or APN”. Now simply press on the three-dot menu which is located in the upper right corner. After the above step now simply select the “New APN” option. Basically, the APN settings can be included along with the SIM card, but if you can not find it you can simply contact your mobile phone operator. Once introduced, press the tick button in the upper right corner to “Save” the settings. That’s it now you are done, like this, you can set up the APN in Android manually. Moreover, if you want then you can also make changes to an existing APN due to modifications applied by the SIM card operator. To do this, simply open the Mobile Networks menu again and select the APN to edit. So, what do you think about this? Simply share all your views and thoughts in the comment section below. And if you liked this tutorial then simply do not forget to share this tutorial with your friends and family.